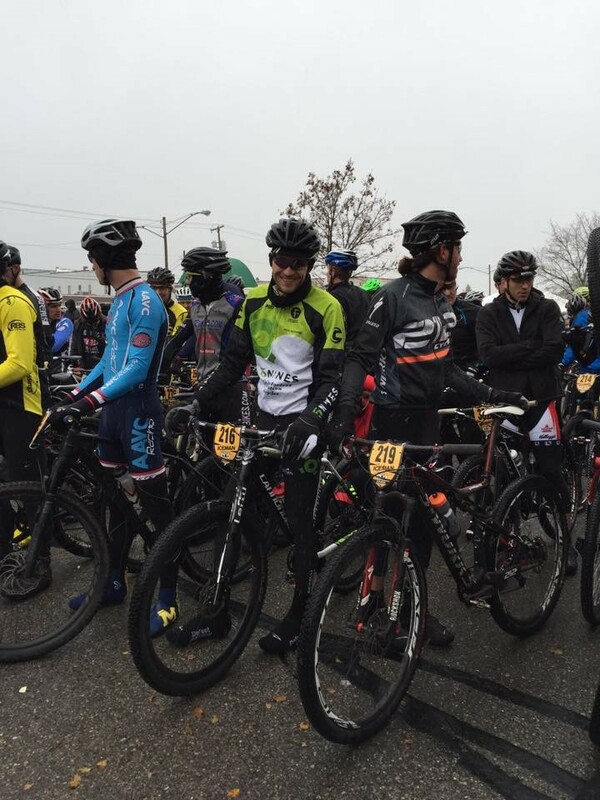 2014 marked my 9th edition of the Iceman Cometh race. Ever since that first race back in 2004 I have wanted to be at the front of the Iceman. The last few years I have had decent rides, but I missed out, or got dropped, by the lead group. Looking back I think this was hugely in part from riding too far back in the group and missing the splits or getting blown-up by the “yo-yo effect”. I promised myself that I wasn’t going to make those mistakes again and I was going to ride at the front no matter what! The weeks leading up to the race I wasn’t feeling too hot. 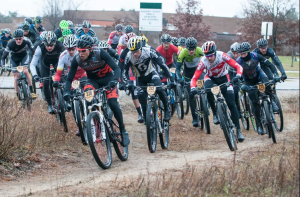 I had two rough weekends of cyclocross: in St Louis at the Gateway Cross Cup, and the weekend prior at the UCI cross races in Cincinnati. I questioned whether I should even make the drive to Traverse City. My girlfriend, Megan, was running the Madison Marathon on Sunday and I had been planning on driving the 7.5 hours home from Iceman right after the finish. By the week before the race, I realized something must have been going on with me the last two weeks because I was feeling much better. I decided I needed to go race. I talked my mom into making the trip with me, and we left super early Friday morning to get up to Traverse City in time for a quick pre-ride. The course was pretty dry and fast with a tough finishing section. Race morning we were met with a seriously wet world! It had rained steadily throughout the night and continued to rain all morning. My only thought was: Perfect! I have always liked bad conditions and I felt this was perfect for me. All I needed to do was stay warm and focused. Next thing I knew I was getting called up and the race was off! Like always, the race for the first section of dirt was a battle of elbows. Luckily, I was able to stay pretty far up and hit the dirt about 8th wheel. I kept reminding myself that I wasn’t going to sit too far back! The first couple miles are mostly two track where you can ride side-by-side. The pace felt slow, and there were a lot of spots where people from behind were trying to move up. I shuffled back a bit, but was still top 10 when we hit the first single-lane section. This is when the pace picked up. I was able to move up and latch onto Dan McConnell’s (World Cup Winner) wheel. Next thing I knew, I looked around him and there was a 200-yard gap between him and the next rider, with a fast group of 6 moving away quickly. I didn’t hesitate and went around him going as hard as I could. I just bridged to the group as we went into the next section on single track! A couple minutes later I looked back and there was nobody. This was it - the selection of 7 had been made. Geoff Kabush, Darrick Zanstra, Cameron Jette, Russell Finsterwald, Cole House, Brian Matter and me! We worked together for a while, dropping Jette a little under halfway through, making it a group of 6. I got into some trouble soon after when I chose the wrong trail as it split in two. I exited the section a good ways back from the group and had to go all-in to get back on. Card spent, not ideal. After that the sparks started to fly when first Kabush, then Matter and others started to put in the attacks. With each one, I was able to stay on and was gaining confidence that I would be able to finish the race with this group. Unfortunately, on a bumpy downhill I lost my chain. No idea how it happened because my XX1 drive train and Wolf Tooth ring has been flawless all year - I think it just shows how gnarly the conditions were! I worked to get my chain back on as fast as I could, but it was too long, the group was gone. I didn’t stop to think, just got back on as fast as I could and decided I would give it everything to see if I could ride the last 15k solo and hold on for 6th. I thought of it as a 20min test, just like training! It wasn’t till I was 2k out and the roar of the 1000+ people at the finish could be heard, that I knew I was going to be able to hold on. 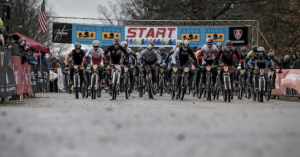 As I rolled across the line it felt great to know I had stuck it and just finished 6th and inside the top 10 for the first time at Iceman, something I have wanted to do for a long time! I also felt proud that I raced my race - I didn’t make the mistakes of past races and was able to do well as a result.